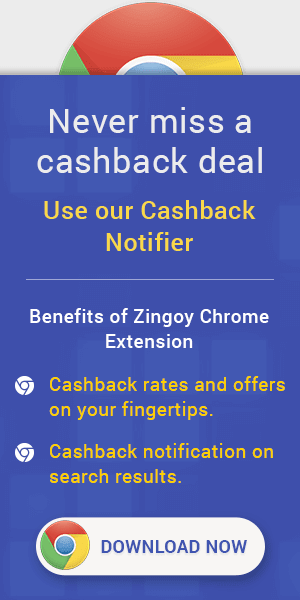 Godaddy doesn't help missing cashback. Earnings from GoDaddy can be redeemed as vouchers or in Bank account. GoDaddy Domain Cashback: You can’t have a website without a domain name. Like a street address that tells people where you live, a domain helps customers drive directly to your website. Get up to 50% Off on Domain Name Search, Bulk Domain Search, New Domain Extensions - New, Domain Broker, Personal Domains - New, Domain Services, Domain Transfer, Domain Privacy, WHOIS, Auctions, Domain Auction, List A Domain, Tools, Pricing, Domain Investor Tools, Discount Domain Club, Domain Backorder, CashParking®, Domain Investing services. GoDaddy Promo Codes : Did you know customers are 9x more likely to choose a business with a professional email address?+ With a memorable, domain-based email account, you’ll promote your company with every message. Get Up to 5,000 subscribers, Add more anytime, Send up to 50,000 emails/month, Unlimited signup forms, Unlimited image storage, Professional templates, Mobile-friendly designs, Unsubscribe handling, Works with Facebook, Etsy & More, Automated email campaigns, Converts blog posts to email, Unsubscribe options, Date-triggered emails, Record signup IPs, Share statistics w/others. GoDaddy Promo Offers: GoDaddy handle the hosting setup and management dirty work so you can focus on creating an amazing website. Supports upto 5 websites, 50 GB SSD storage, 8,00,000 monthly visitors, SSH/SFTP access, Free domain with annual plan, One-click staging site, 1 SSL certificate – 1 year free (₹ 4,399.00 renewal annually), Pro Sites multi-site management too. GoDaddy Cashback Offers : Build a better website in less than an hour with Starting at ₹ 69.00/month was ₹ 389.00 after trial ends. Cancel anytime. Get Responsive mobile design, Website hosting, 24/7 support, Security (SSL), Search Engine Optimization (SEO), Email Marketing, Social Media Integration, Globally-Optimized Speed, Built-in shopping cart with fast checkout, Accept credit cards, debit cards, net banking and wallets, Configure shipping and tax rates, Offer discounts and coupons, Manage orders and inventory, Abandoned cart recovery.